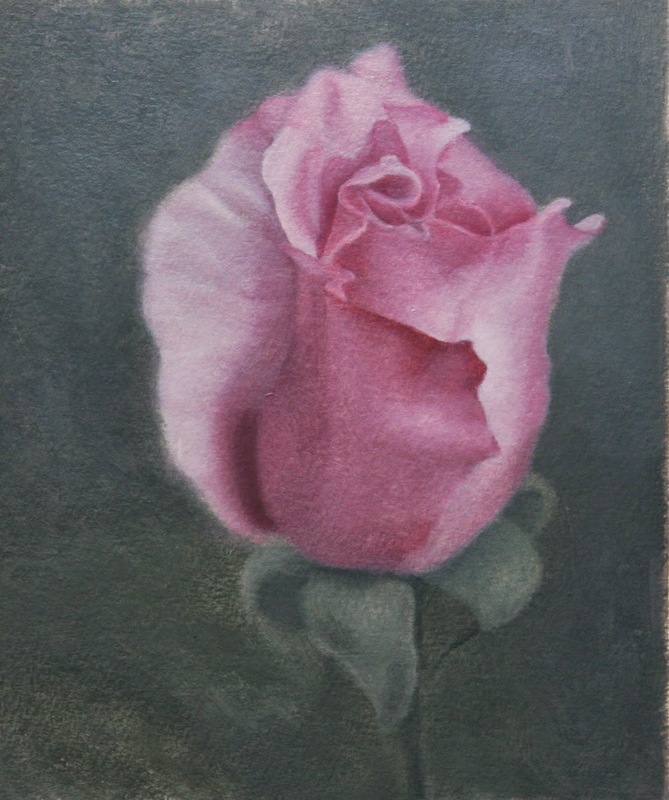 This is an update on the flower we have been working on during my oil painting class at Port Moody Art Center. The color image is the first pass of color and I will do one more pass and then perhaps minor adjustments for a total of 3 color “layers” although the final layer would be just small areas that need adjustments. For the color stage, we start with the basic mixtures of color strings and then adjust as needed to shift the hue (the local color), value (lights and darks) and chroma (the intensity of the color). The next beginner class starts March 23, please visit http://www.stateofartportraits.com/art-workshops-lessons.htm for more info and register early as spots are limited and classes are cancelled if the minimum registration is not filled.